Below is the official WWE Evolution poster, which features former WWE Divas Trish Stratus and Lita. Shayna Baszler and NXT Women's Champion Kairi Sane are the NXT wrestlers featured on the poster, joining main roster stars Ronda Rousey, Charlotte Flair, Alexa Bliss, Bayley, Sasha Banks, Becky Lynch, Asuka, Carmella, Naomi, Carmella, Natalya, Ember Moon and Nia Jax. 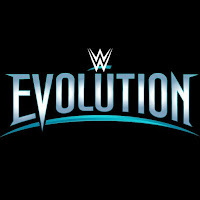 The all-women's WWE Evolution event takes place on October 28th at the Nassau Veterans Memorial Coliseum, in Uniondale, New York. The show will feature talent from the Raw, SmackDown, NXT, and NXT UK brands.